Getting ready for a date when you are 50 plus gave me some challenges. When you are over 50 chances are that you are not as happy with your body as you were in your twenties. Things have sagged, bagged and expanded, not necessarily in that order. I thought I would share a little story about getting ready for a particular date. Spoiler alert – it was a one-off date. Don’t despair though for every date that doesn’t pan out – you are one step closer to one that does. I rushed home from work, threw myself into the shower and washed my hair. I have this idea in my head that my hair and my cleavage are my best assets so all date outfits and arrangements start with that! After pouring myself into my date bra – push them up and make them proud, I started on the make-up. I love make-up it always makes me feel a little bit prettier. Tonight’s date was with a man whom I had been corresponding with for a few weeks. He seemed well read and intelligent. I made a snap decision – I was going to wear contact lenses. I very rarely do for reasons that will be revealed but I guess I was feeling a bit insecure and thought that the make-up might shine brighter when not hidden behind metal frames. Breathe. I was nervous and had to drive a half an hour to the meeting point at a random pub that seemed to be half way for both of us. I grabbed my phone as I needed to keep an eye on work emails and realised that I couldn’t read my phone with my contacts in. Like many of us over 50s I wear varifocals. The contacts were only my distance prescription. Time was ticking as I panicked over a solution. Luckily I lived in the middle of the town and flew down to the chemist as it was closing asking for granny glasses (over the counter reading specs). I grabbed a pair that matched my coat and went to pay. I glanced down at my phone. It was now twice the size and curved. I had grabbed a pair that was far stronger than I needed. The kind assistants made the swap and I was off on my date. It was an awful drive. The heavens opened and visibility was bad. I didn’t know where I was going which didn’t help at all. I finally made it into the pub and all I wanted was a nice calming drink but of course I had to drive back. Blinking to keep the contact lenses in place I was at least glad that he had arrived first. We didn’t gel. I employed all my conversational skills over a soft drink and excellent fish and chips (chosen because it was what he chose and I couldn’t read the menu without the granny glasses). It was simply hard work. Perhaps I didn’t mean it so directly but I still stand by that sentiment. It is hard work, but ultimately it is worth it. I have met some amazing friends and some more than friends. Suffice to say that date ended pretty quickly after that and I drove home, removed the lenses from my scratchy eyes and settled down to a nice cup of tea. I waited a couple of days before diving into the dating pool again. 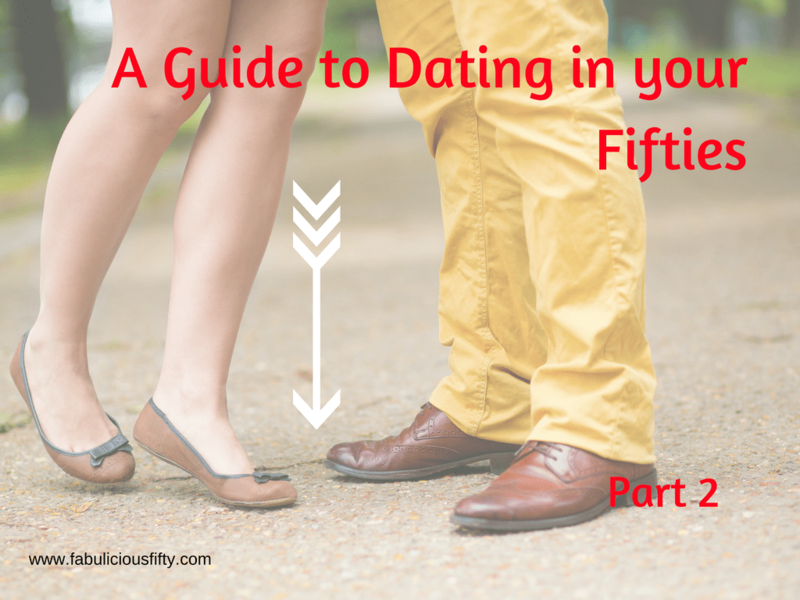 Thanks for reading and please come back for more dating in your 50s advice and adventures.